Welcome to OAS! If you are a CRNA and joined the society in 2018, you should register using this ticket. Welcome to OAS! If you are MD/DO and joined the society in 2018, you should register using this ticket. Welcome to OAS! If you are a RN and joined the society in 2018, you should register using this ticket. Register by August 24th to receive discounted rates! 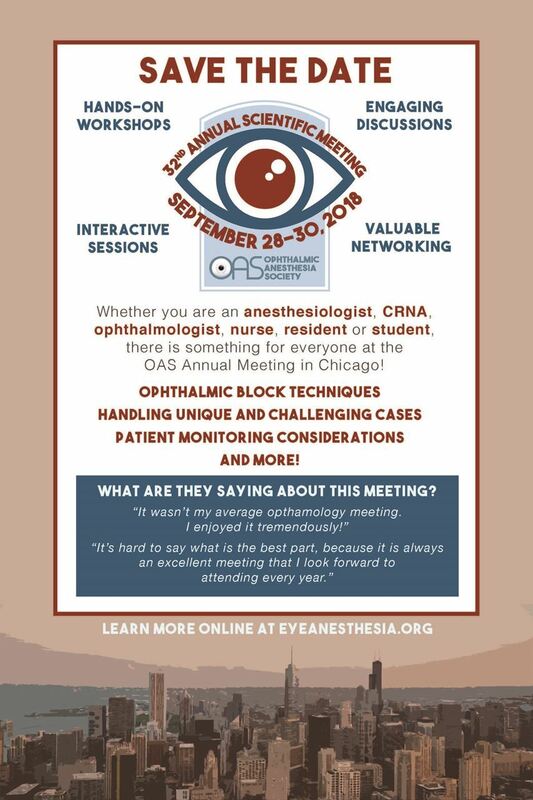 Whether you are an anesthesiologist, CRNA, ophthalmologist, nurse, resident or student, there is something for everyone at the OAS Annual Meeting in Chicago. Don't forget to book your hotel room before August 24, 2018!